Learn how Scotch whisky is made, experience a dram of Scotch from 4 of the 5 regions where Scotch is made. Discover whether age matters. 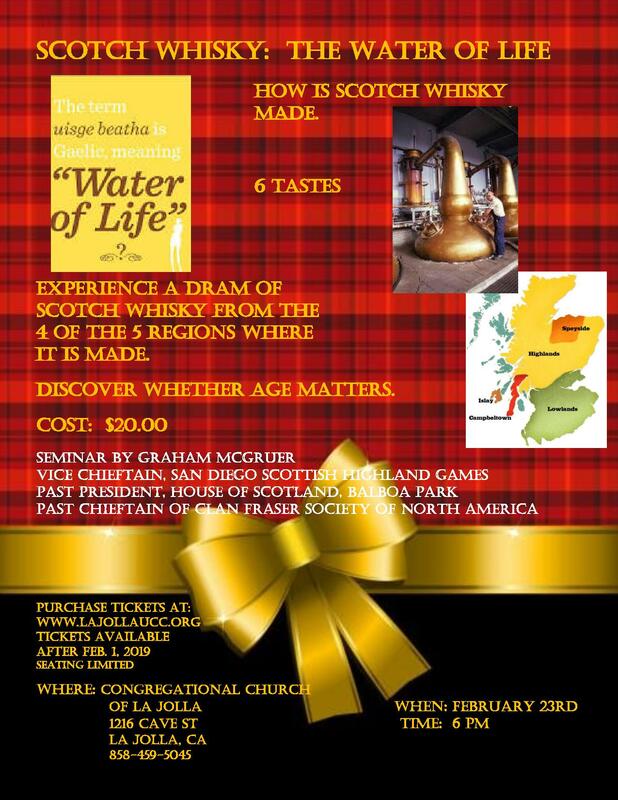 Seminar presented by Graham McGruer, Vice Chieftain San Diego Scottish Highland Games; Past President House of Scotland; Past Chieftain of Clan Fraser Society of North America.